Sikkim is a special State and this for many reasons. First, Denjong or the Valley of Rice, as Sikkim is traditionally known, is today a stable and prosperous State; the fact that the charismatic Chief Minister Pawan Kumar Chamling has recently become the longest serving Indian Chief Minister, is a clear sign of the continuity. 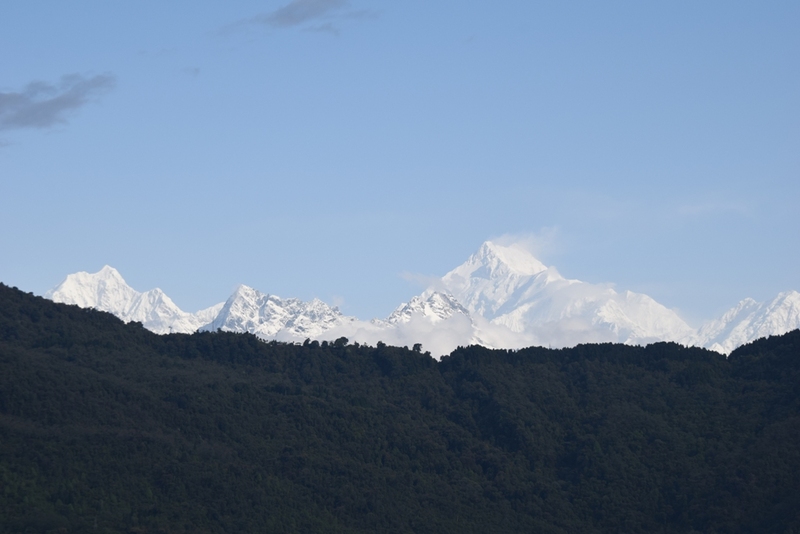 Sikkim is also the first organic State in India, showing the way to other smaller progressive States. At a time this State is so crucial to India’s security, it remains a trend-setter and a model. India can’t afford to have unsecure and ‘unhappy’ borders, when the northern neighbour is always ready to change the status quo. The need of the hour is the strengthening of the Indian Himalayan border States; the issue has even become more urgent after the Doklam episode. How to do that? One possibility is ‘development’, particularly eco-tourism, which can bring rich dividends. But it is probably not enough. It is also necessary to empower the local populations. One issue which has not been understood properly in India is why the Chinese decided to call for a cease-fire hardly a month after their first attack on India in October 1962. The internal struggle within the Chinese Communist Party between 1959 and 1962 can’t be overlooked, but the Tibet factor gives the rationale why China suddenly decided to put a halt to its advance at a time it was winning on all fronts. The obvious reason was not the winter, but the political instability on the Tibetan plateau. During a speech at the summer station of Beidaihe in August 1962, Mao delivered a diatribe against the 10th Panchen Lama, who in a 70,000-character petition, had described the unstable situation in Tibet due to harsh communist actions. The young Lama, who had been made Chairman of the Preparatory Committee for the Tibet Autonomous Region (TAR) after the Dalai Lama left for India, had dared to criticise the policies of the party in Tibet. The Tibetan instability greatly influenced the smooth running of the supply lines to the Indian front; it became a major issue impeding longer military operations against India as discontent was brewing on the Roof of the World. The petition was sent by the Panchen Lama to Zhou Enlai and Xi Zhongxun (President Xi Jinping’s father) in April 1962. The Chinese Premier requested Xi Senior to read and study the Panchen Lama’s petition. For his courage, the Panchen Lama spent 14 years in jail. Beijing has, however, a second objective that is to build-up the border defenses against India. China kills two birds at the same time; tourism is the best way to tackle poverty ...and to protect the country’s borders (by buying the local population over to China’s side). Recently, Che Dalha (alias Qizhala), the head of the TAR Government, visited Zhayul, north of the McMahon line in the Lohit Valley. Walong, which witnessed the famous battle in November 1962, is located some 50 km south in the same valley; there, the 11 Infantry Brigade and in particular the 6 Kumaon of the Indian Army managed to stop the Chinese advances; they had to pay a high price for it …so did the Chinese. While inspecting a Hero Memorial Park, he told the villagers that the masses should deeply cherish the memory of the Chinese soldiers who died in 1962 as well as the ‘heroes’ who fought the Tibetan resistance in the late 1950s the revolutionary martyrs. But China does not only pay homage to its martyrs, it fast-track builds tens of ‘model’ villages along the border in order to literarily bring lakhs of tourists, at a time India lives under an antiquated Inner Line Permit system. India needs to satisfy the basic aspirations of the local population and give them the freedom to develop according to their own genius. This is something China may be unable to do. In connection with the local population’s aspiration, an important Summit was recently held in Gangtok. Though Sikkim is today stable, large sections of the society feel that they have been victim to historical injustices in the past. After the merger in 1975, some communities were excluded from the tribal status. The Summit demanded that all communities having a Sikkim Subject’s Card should be given ‘tribal’ status and the State be declared a tribal State, like other North-Eastern States where only the tribals occupy the Assembly seats and governance is kept in the hands of indigenous people. The two-day summit was organised by the EIECOS (Eleven indigenous ethnic communities of Sikkim), a formerly registered association, the Sikkim Commission for Backward Classes and the Social Justice Empowerment and Welfare Department. Three years after the State joined India in a quasi-unanimous referendum, some communities were unfortunately left out when Scheduled Tribe recognition was granted to others. With fast developments taking place on India’s borders and the arrival of a railway line in Yatung in Chumbi Valley, the pressure is going to greatly increase for the local population to remain steadfast, a small gesture such as granting Tribal status to Sikkim, would go a long way to make the people of Sikkim ‘happier’ and, therefore, more prepared to support the defence of India’s borders. This is also valid for other Himalayan States which too have their long-pending demands, which are often ignored by Big Brother in Delhi. It is true for Ladakh, for Arunachal Pradesh, but for Himachal and Uttarakhand too. The Himalayan people may not represent a large or politically influential section of the population, but India’s security depends on them.